Login and Password - it is possibile generate a new login and password or add it manually. The button is used for generation of new login and password. Type of billing - if customer is fully prepaid or we will charge him monthly (recurring charge). Login and password are created based on pattern. To define the pattern, click on Config → Main→ Customers. This is a way to define symbols for generation of login and password. It is possible to personalise customer's parameters with the function Additional field in Config → System → Additional fields. 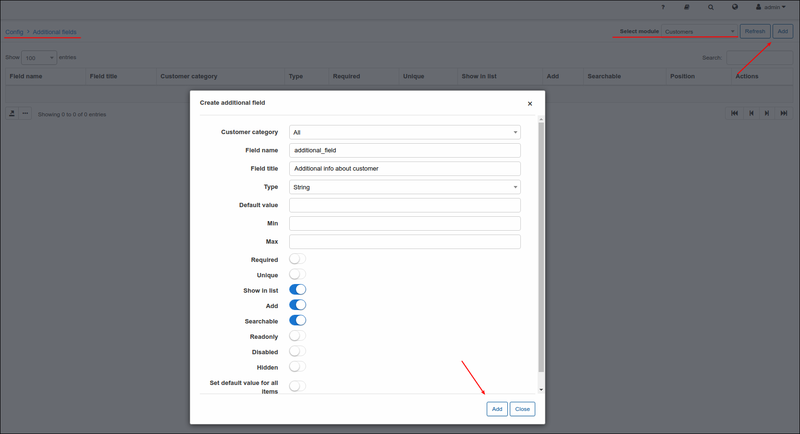 When you create the additional field for a customer, select Add to get the parameter in the customer's profile by default.